Though some poems I loved when I was young have lost their sting over the years, Rimbaud’s ‘The Drunken Boat’ still exhilarates me as much as it ever did. New Directions is pleased to announce the relaunch of the long-celebrated bilingual edition of Rimbaud’s A Season In Hell & The Drunken Boat — a personal poem of damnation as well as a plea to be released from “the examination of his own depths.” Rimbaud originally distributed A Season In Hell to friends as a self-published booklet, and soon afterward, at the age of nineteen, quit poetry altogether. New Directions’ edition was among the first to be published in the U.S., and quickly became a classic. Rimbaud’s famous poem “The Drunken Boat” was subsequently added to the first paperbook printing. Allen Ginsberg proclaimed Arthur Rimbaud as “the first punk” — a visionary mentor to the Beats for both his recklessness and his fiery poetry. This new edition proudly dons the original Alvin Lustig designed cover, and a introduction by another famous rebel — and now National Book Award-winner — Patti Smith. We pray for him, offering love. History praises him, offering laurels. Mercy sings of him, offering absolution. Arthur Rimbaud, in his long suffering, has at last attained God’s favor. One of the greatest poets who ever lived. 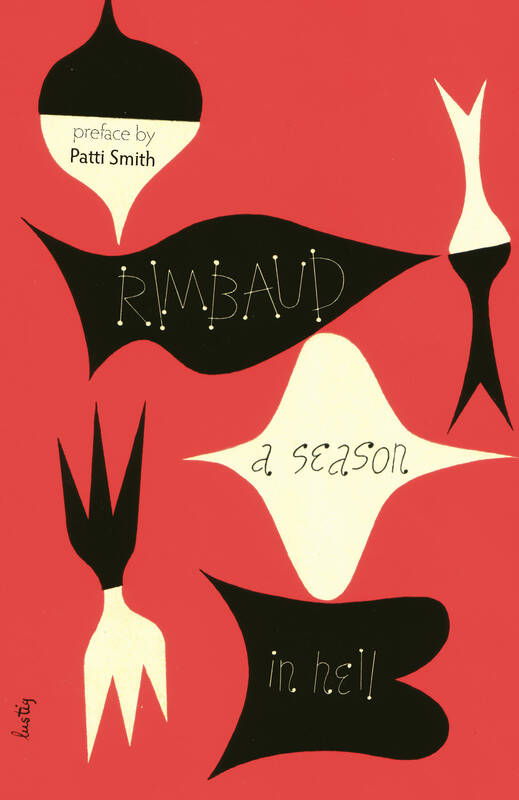 If we are absolutely modern — and we are — it is because Rimbaud commanded us to be.